Some say that Cannabis is the Gold Rush of the 21st century. We call it the Green Rush. eCann Media has brought together the best and brightest minds of the Marijuana Industry to build some of the most powerful companies in each sector of this emerging marketplace. The rising star in eCann’s portfolio is GreenRush, the leading online cannabis delivery and medical evaluation service. GreenRush is the easiest way to order cannabis. With 350+ dispensaries and 3000+ products on the GreenRush platform, it solves the patient need for easy access, multiple options, and safe delivery. As the premier web-based delivery option, the company is well positioned to continue expanding in California and to other states as both medical and adult-use legalization become more widespread. GreenRush is ideally positioned not only to keep riding the growth of the retail cannabis sector, but to help fuel the growth. Fastest growing industry in today’s economy. Public support reaching new highs. Large investments enetering the space. Completing this form will allow the GreenRush team to consider your eligibility to participate in our Series A Funding. Learn more about the fastest growing industry in today’s economy. Stay up to date with breaking news, growth projections, and legislation/regulation changes. Learn more about the fastest growing industry in today’s economy. Stay up to date with breaking news, growth projections, and legislation/regulation changes. Learn more about the fastest growing industry in today’s economy. Stay up to date with breaking news, growth projections, and legislation/regulation changes. Access big data about the industry that will shed light on the tremendous opportunity in the marketplace. The team who runs eCann and the “Invest in Cannabis” website have sourced numerous investments to many companies across all the major verticals within the Marijuana industry. 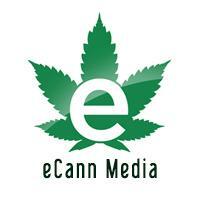 The eCann Media founders have founded, run, and operated over 15 businesses over the last decade. Using their expertise in technology, marketing, and eCommerce, their goal is to become the apex of all legal Marijuana commerce across the world. Currently, they have businesses and investments across many verticals in the cannabis space, including branding, on-demand delivery, manufacturing, and real estate. As has been well documented, I smoked pot as a kid, and I view it as a bad habit and a vice, not very different from the cigarettes that I smoked as a young person up through a big chunk of my adult life, I don’t think it is more dangerous than alcohol. In terms of marijuana and legalization, I think that should be a state issue, state-by-state,… Marijuana is such a big thing. I think medical should happen — right? Don’t we agree? I think so. And then I really believe we should leave it up to the states. We can do better. First, it’s time to legalize and regulate marijuana for adult users. That means looking at how we transition to legalization while protecting children and ensuring public safety. And more than that, it’s time to get serious about the tax and business structure of how this will work.